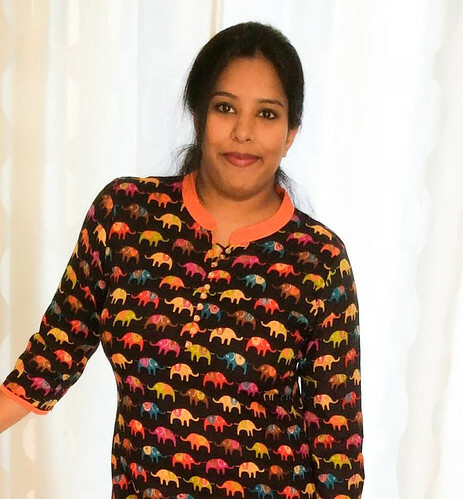 Who Am I : Spandana, a Hyderabadie foodie, now settled down in Germany with my three men – my husband and my two adorable boys Ansh(8) and Krish(2). Why the Name? : Everyone wants to cook like their mom, and I am no exception. How much ever old we are, we always crave for the taste of the food cooked by mom. So this blog includes recipes from my mom and and my lovely grandmom. Recipes and Pictures : This blog has different recipes from all over the world, but predominantly Indian. These are the recipes shared by my mother and grandmother, some recipes which I found interesting in cookbooks and some inspired by other food blogs. I do give a credit to the food blogs or cookbook which inspired me to cook a dish. I am no professional cook or food photographer. But I can promise that the recipes and food here tastes good. I am still learning the art of food photography, and I promise to give you drool worthy pictures. Copyright: All content here on this blog, recipes and pictures is copyrighted with All Rights Reserved, unless otherwise noted. Please ask first if you want to use any of my photographs or text. Thank you for visiting. I hope you enjoy your visit and I would love any and all feedback.